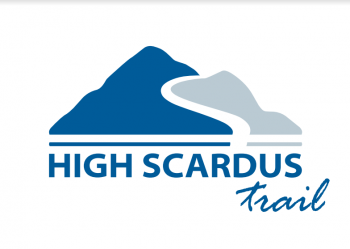 High Scardus Trail (HST) is a transnational mountain tourism product connecting the mountain ranges in the border areas of Albania, Macedonia, and Kosovo. The name originates from the Latin name for the Shar Mountain, the biggest massive in the region, Scardus or colourful mountain. And colourful is what the HST is in terms of landscapes, biodiversity, people, tradition, and food! High Scardus Trail is a transnational hiking trail with a total length of 495 km that is found on the mountains in the border areas of Macedonia, Albania, and Kosovo. The trail passes through six national parks, two in the Republic of Macedonia, one in the Republic of Kosovo, and three in the Republic of Albania. If you take into account the numerous connecting trails to the main trail, which start/lead to populated areas and serve as access or exit points of the trail, the High Scardus Trail can be seen as a system of interconnected trails. This is especially important for creating a tour. For the passage of the main trail in its entirety, from its starting point in the northeastern part of the Sharr Mountains in Macedonia to its end the Prespa region in Albania, it takes about twenty days hiking, which is two to three times longer than the duration of an average trip in adventure tourism. However, the network character of the path, that is, the existence of a main path and connection links allow the creation of tours of different lengths, duration and difficulty levels, thereby creating numerous opportunities to meet the interests and needs of different categories of hikers and visitors.